Warid introduces an awesome customer care service for its valued subscribers all over in Pakistan. 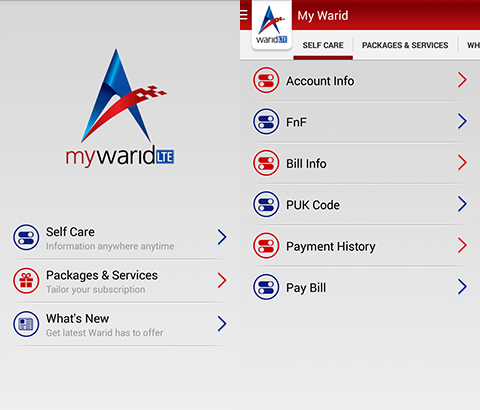 Now customers can easily manage multiple things by using My Warid APP. It provides countless facility of its subscribers and they can easily change multiple things through this feature. In earlier few days Zong has launched Zong My APP facility for its customers so how it can possible Warid will not launch same kind of facility of its valued customers. This telecommunication has launched facility with more features from other network service of Pakistan and subscribers can easily change or manage multiple options by using it. As we all know in this present era Smartphone users are increasing in Pakistan and mostly Smartphone users want to use all things through application. This telecommunication recognizes the wishes of customers and finally it has launched an exceptional Warid MY APP for its valued customers of Pakistan. All Smartphone users of this network can easily get complete information of his/her sim card by using this feature. 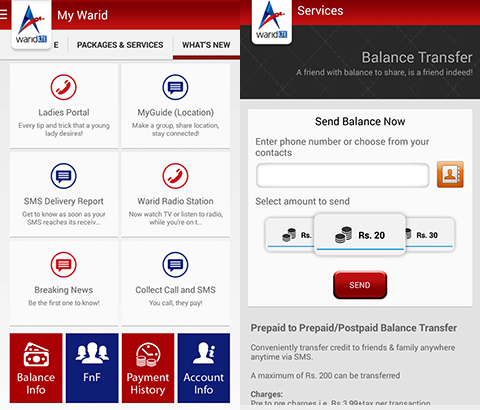 It provides you various varieties of options to use on regular basis just need to download this mobile application and get complete information of your Warid sim card. The details of feature are given as below. Self care option provides multiple facilities of users. Customers can re-charge his/her account by using Self-care service. It can be also used to change friends and family FnF numbers, Operators can add or remove any friends and family number through this application. Consumers can also get complete information about sim card by using self-care service. It also provides balance details of its users. 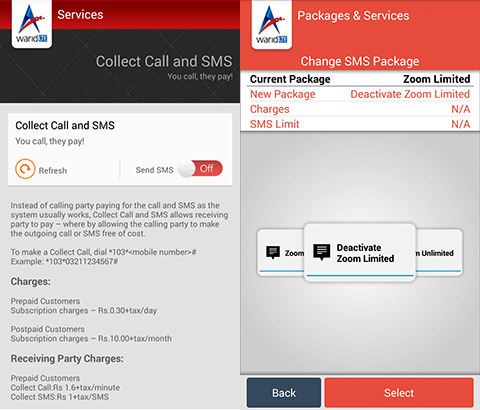 Now customers of this telecommunication can easily subscribe any offer by using this app. It provides complete details about packages and offers of this network and consumers can easily subscribe any offer through this mobile application. Subscribers can also UN-subscribe or change any package or bundle by using this. This is complete platform for users there can activate and deactivate offer without facing any issue. It provides an exceptional facility option for users. Now subscribers of this telecommunication can easily transfer balance on any same network number by using this service yes this facility is also available in this application. You don’t need to search any code or registration method to send balance of your loved ones just install this application and transfer balance of your friends on emergency situation with correctly. All the application users can easily get complete information about LTE coverage area by using it. Customers can also view Google map to find out any place and it also provides Warid coverage area and subscribers can easily get information about network service of this telecommunication. 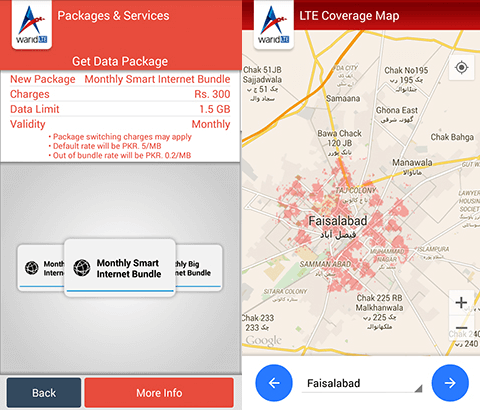 3G and 4G technologies have already launched in Pakistan for cellular operators and if someone wants to search 4G coverage area of Warid so they can easily get information by using coverage area option of this application. This is simple task all the Android operators can easily install this application through Google play store. Apple operators can download this application from iTunes with correctly. The installation process is similar like other app downloading.